I needed a quick thrill after my alphabet poster bomb, and I decided what better way to get it than feeding my pillow obsession. I made this pillow in about five minutes, and I love it. There is nothing like a quick and easy DIY project to boost my spirits. The first step I did was get my supplies. 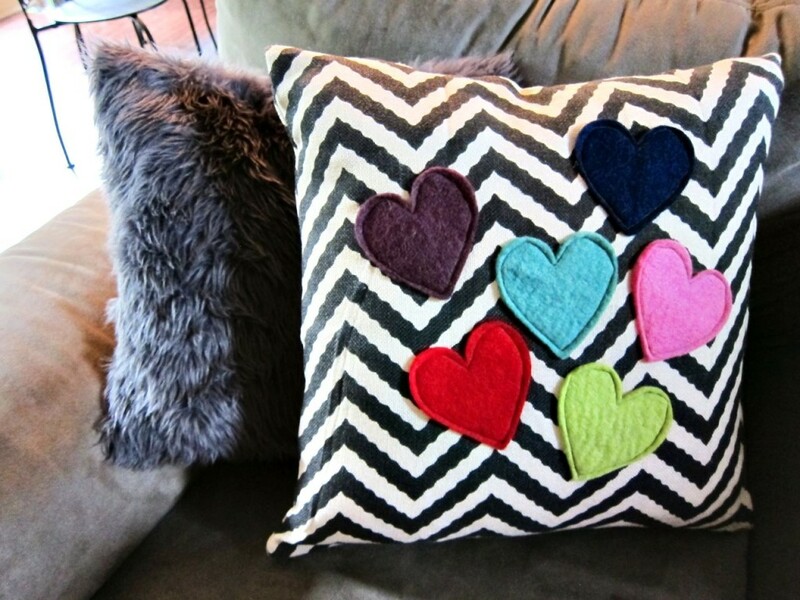 I bought my premade pillow insert at Hobby Lobby when they were 50% off, and I used a coupon to buy the wool felt hearts there as well. I think together these supplies cost a little over $5.00. 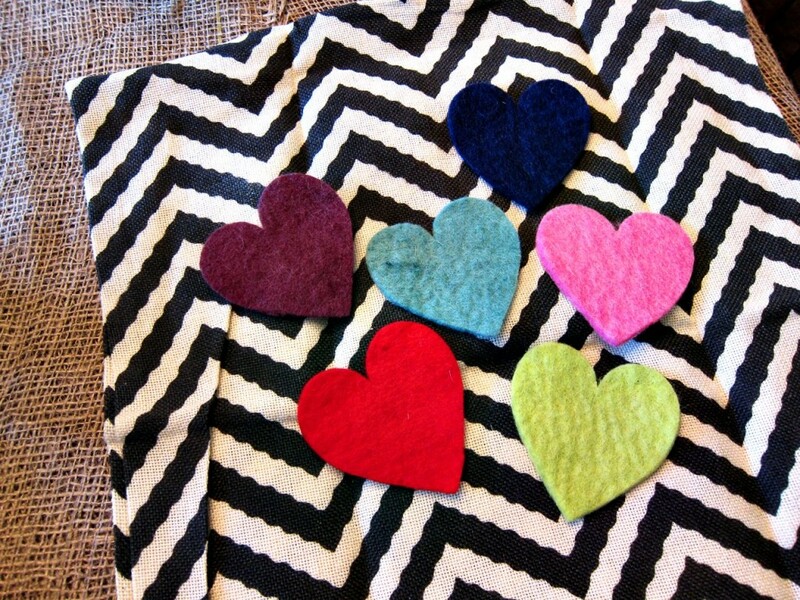 I opened up my packages and laid the hearts out how I thought they would look good on my pillow insert. As I created this, I thought it would be cool to give some kind of meaning to the hearts. You could add as many hearts as there are children or grandchildren in your family and give this as a sentimental gift. It could be like a more trendy family tree. For my pillow, I just used as many hearts as I got in my package. 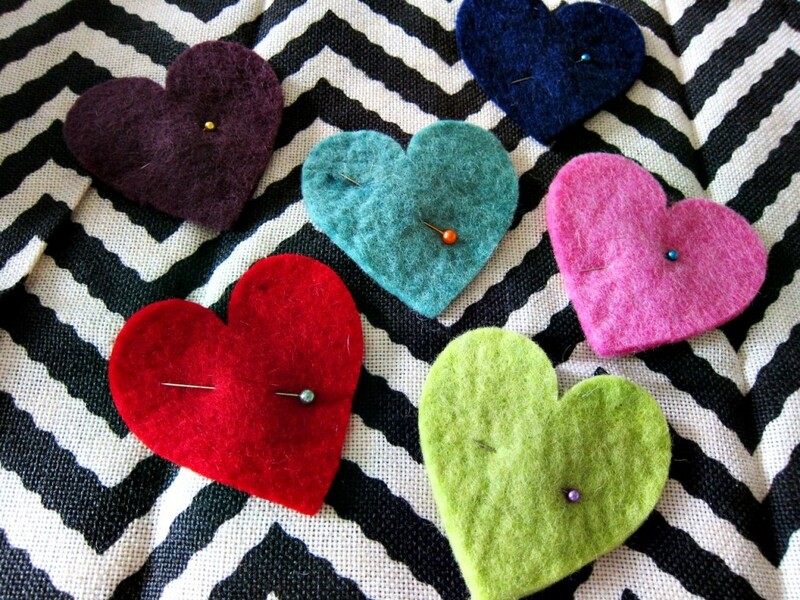 I pinned the hearts in place, so they wouldn’t move from where I wanted them to be. Be careful to only pin through one side of the pillow case and not allow that pin to catch the back of the case as well. 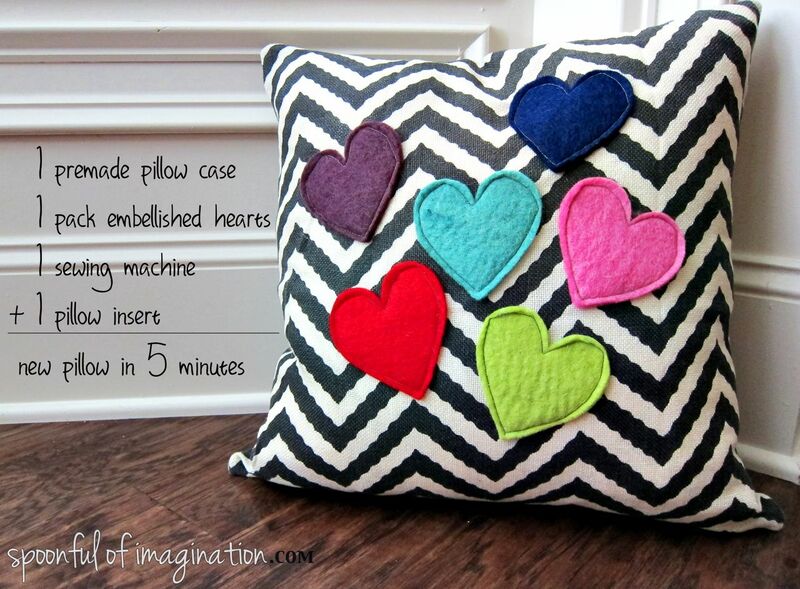 You will need the pillow case to open to be able to sew the hearts in place. 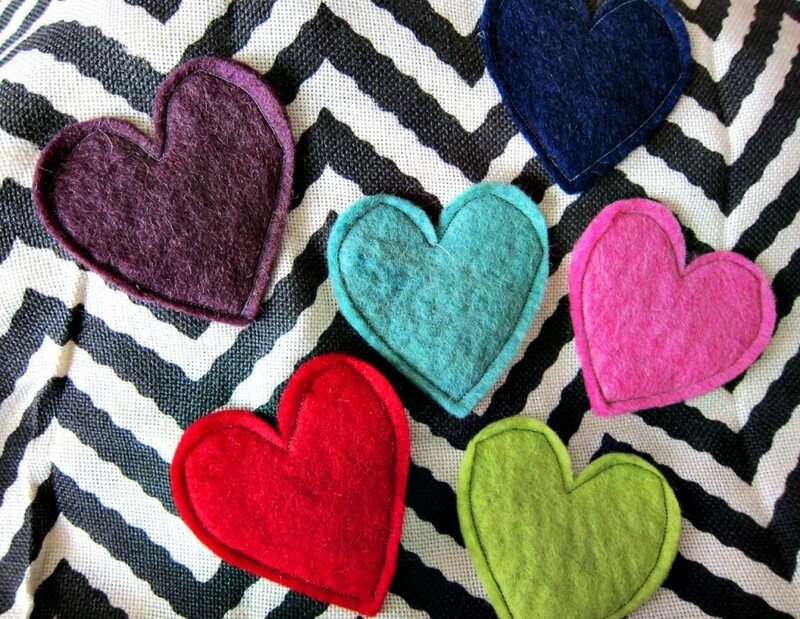 I then sewed my hearts in place, being careful to only sew them to the front side of the pillow case. Once each heart was sewn in place and all the sewing pins were removed, I stuffed my pillow insert inside and my pillow was done! I love how it looks on my couch paired up with my other pillows. What do you do when you need your spirits boosted? Do you craft too? Thanks so much for stopping by! If there was only more time in my world, I’d create a slew of cute things like your pillowcase! Adorable! 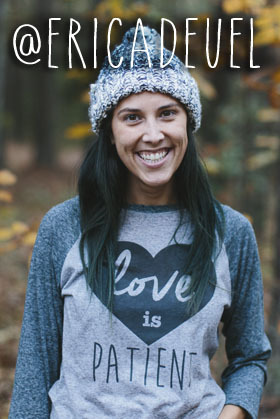 I love it, Erica! Very fun and whimsical! Great job Erica!! 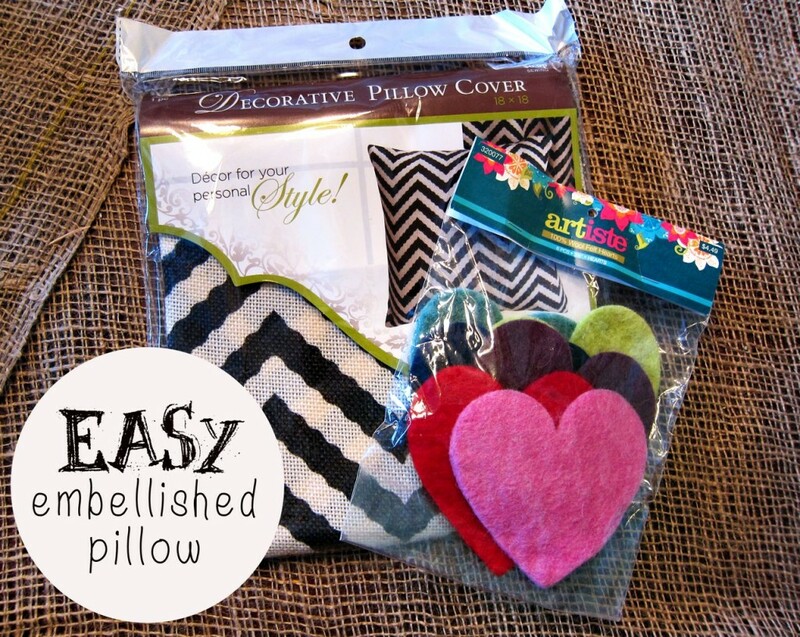 Hobby Lobby has the best pre-made pillows and they’re so cheap when you have a coupon! 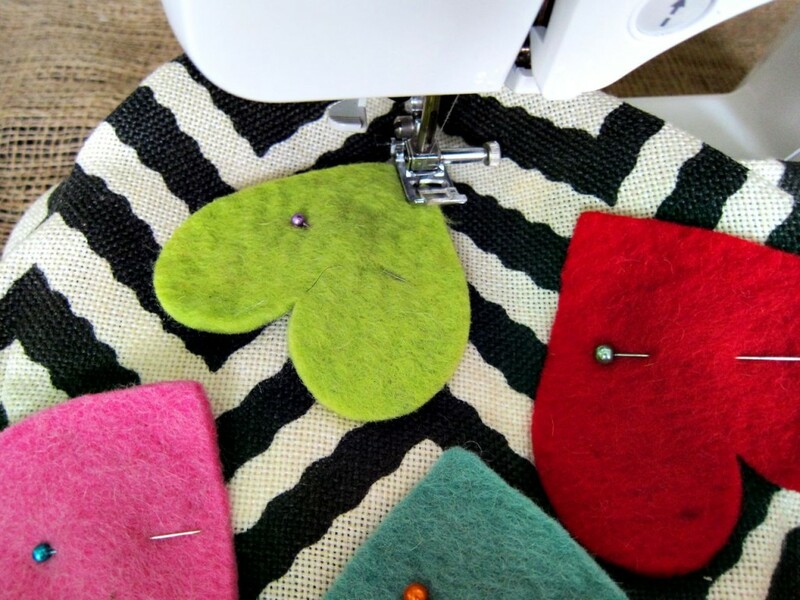 Love this – my sewing skills are sad, but I may have to give this a try! My SIL follows you now too and we talk about all of your posts! We can’t get over this one! So quick and it is so precious! You really do inspire me Erica! So can’t believe you did this so quickly…it is absolutely darling!!! Very cute! And love that it only takes 5 minutes! !